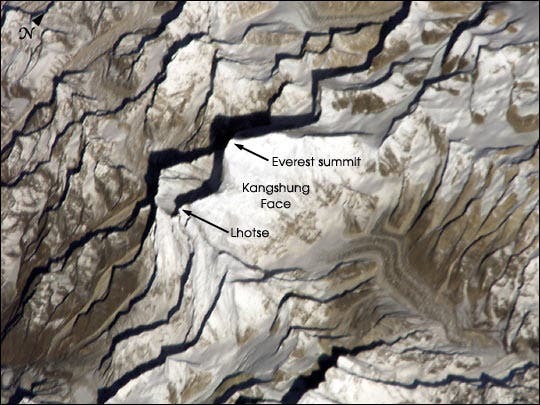 Astronaut Dan Bursch, a member of the Expedition 4 crew on the International Space Station, took this image detailed image of Everest, the highest (29,035 feet, 8850 meters) mountain in the world, showing early morning light on the eastern Kangshung Face. The mountains appear to jump out of the picture because the image was taken with low sunlight using an electronic still camera equipped with an 800 mm lens. 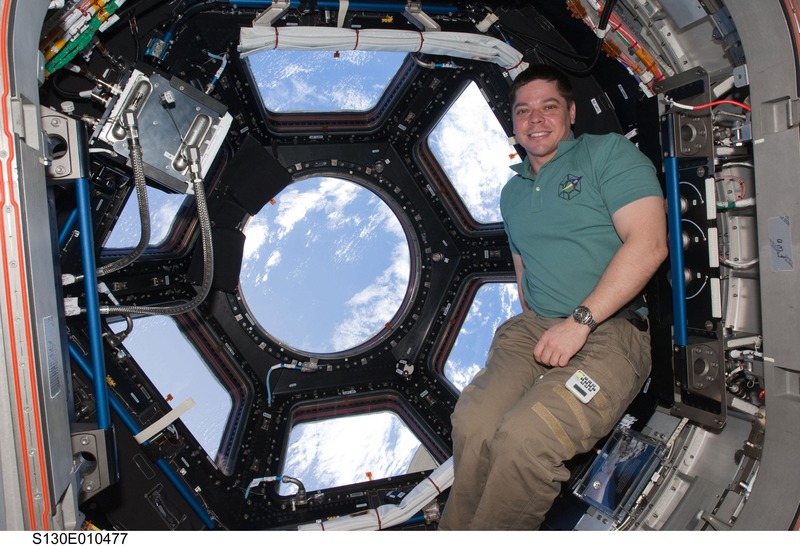 NASA astronaut Robert Behnken, STS-130 mission specialist, poses below for a photo near the windows in the Cupola of the International Space Station while space shuttle Endeavour remains docked with the station. Next to him is the plaque containing Apollo 11 Moon rocks and a piece of the summit of Mt. Everest.